How can one live and exist when, because of historical circumstances, one is born to a Congolese father and a Belgian mother with overpowering personalities and into a family which has been deeply affected by violence ? This is the question which has eaten away at Caron for thirty-six years. Caron is a singer. In her latest album she sings “That’s what Papa says”. In another she sings about her mother “Anna”. By deciding to perform in Africa and to reunite her family which has been dispersed for the last twenty-five years between Belgium and the Congo, Caron wants to put an end to an exhausting struggle to survive, and to finish with pretence and sham. She is relying on the camera to help her to overcome fate. 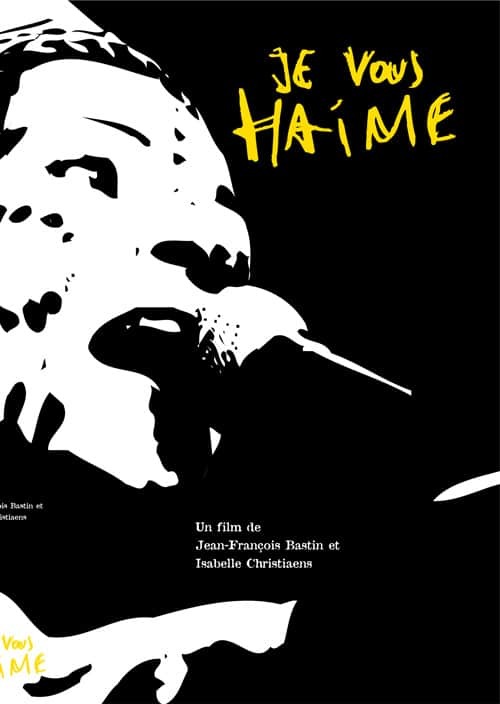 “Je Vous Haime” is the story of this challenge.